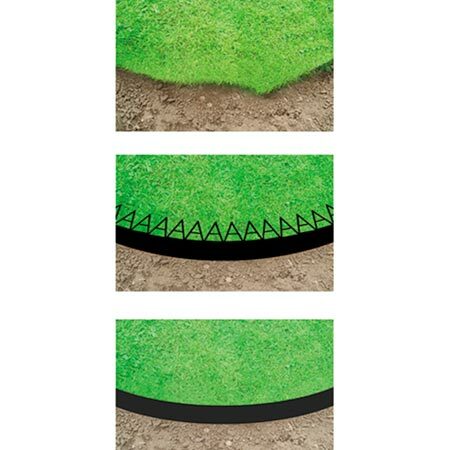 Lawn Edging - A tough yet flexible polypropylene edging strip whose unique design binds itself into the roots of the lawn as the grass grows, providing your lawn with a perfectly neat margin - no more crumbling edges and grass growing out into your borders! UV and frost proof, it will not crack or fade, and will last for many years. 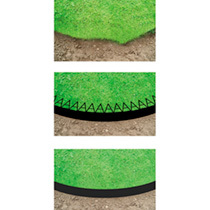 The polycarbonate securing pins are biodegradeable as once the grass has bound in they are no longer needed. Available: 5m (16') + 60 Pins, 10m (32') + 120 Pins, 50m (164') + 450 Pins. 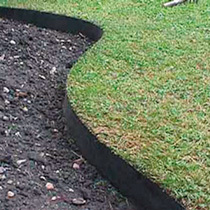 Secure Pins - The polycarbonate securing pins are biodegradeable as once the grass has bound in they are no longer needed. Set of 150. A nice, neat edge to your lawn!